Here are all the questions you might have wanted to ask about fish, but were too afraid to ask. Q. Is it true that our fishing industry is in decline? The numbers are stark. Statistics from the government agency the Marine Management Organisation show that there were just under 9,000 boats in the UK fishing fleet in 1996 and that has dropped to just over 6,100 in 2017. However, according to the charity Full Fact the UK’s share of the overall EU fishing catch grew between 2004 and 2014. In 2004 the UK had the fourth largest catch of any EU country at 652,000 tonnes, by 2014 this had grown to 752,000 tonnes and the second largest catch of any country in the EU. So fewer boats, catching more fish. Q. I’ve noticed complaints that the EU ruined our fishing industry, is that true? The UK industry has argued that when the UK entered the EU and its Common Fisheries Policy in 1973 the government negotiated a bad deal for them. However, the Food Research Collaboration (led by Sustain members the Centre for Food Policy), recently issued a report showing that actually the decline of Britain’s fishing fleet has been a result of UK, rather than EU, decision making, along with stock collapse due to overfishing. Every year the UK is given a share of the fish stocks in European waters. It decides who gets to fish for those stocks. Decisions taken by the UK government have persistently disadvantaged the small and arguably more sustainable small-scale British fishers – for example they have allowed quota to be sold and accumulated by large businesses, some of which don't own boats, and many aren’t UK companies. Government could fix this now by giving more of the quota to more small fishers, supporting more jobs and more sustainable fishing. Q. After Brexit we will take back control of our waters. Is that true? Will no foreign fishers be able to come in to UK waters after Brexit? Well, regardless of the current political discussions about Brexit day, the UK has agreed to stay in the Common Fisheries Policy until 2020. The government has agreed to work on a future fisheries arrangement after that with the EU. When we exit the EU in theory we will have control of 200 nautical miles around our coastline. We will be able to negotiate access to our waters in return for access to other waters and markets. However, in practice, France is only 27 miles across the Channel! And the UK will still have to comply with international treaty commitments which recognise that other fishers have historical fishing rights. We will need to come to an amical arrangement if we are to avoid the repeat of last summer’s scallop skirmishes. It’s also worth noting that access to more water doesn’t automatically mean we can catch more fish. The total allowable catches for the UK will still need to be agreed with the EU, and other coastal states and if we want to catch more, another country will need to agree to catch less. Q. After Brexit we can fish our own waters, eat our own fish. Why all the fish fuss? 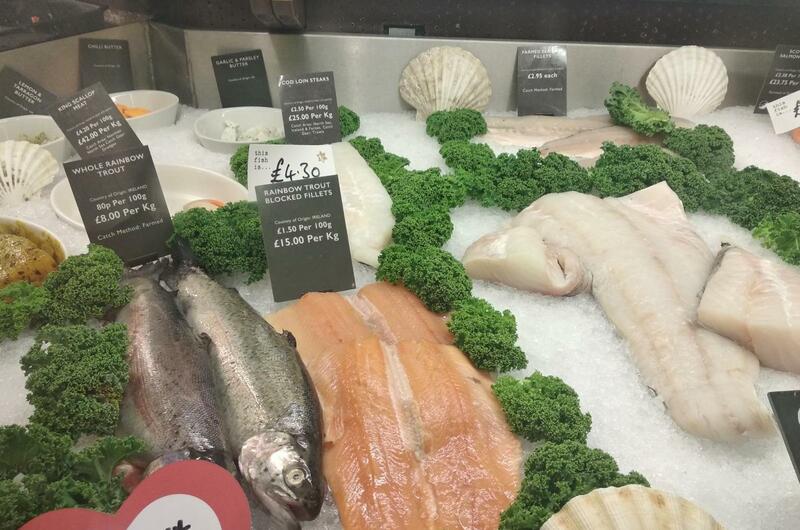 Currently we export the majority of what we catch in UK waters and import the majority of what we eat. Our biggest market is the EU, which is why it is incredibly important for the UK industry that we can trade easily with the EU. EU politicians and fishers are also insistent that if the UK wants to continue to have access to EU markets, they must have the right to fish in UK waters. Q. What about UK fishers? Will they be able to fish in European waters? Some UK boats fish in EU waters, and, officially, if we are out of the Common Fisheries Policies we no longer have the right to fish in these waters. As above, the UK will need to negotiate access. Q. Our fishers complain about quotas but I don’t really know how that works? Are they bad? Every year, European ministers (including the UK) decide how much fish we can all catch without destroying the stocks (The Total Allowable Catch) and then divide that amount between the countries – each country gets a quota. The UK fishers argue that they don’t get a big enough share of the Total Allowable Catch because the allocation is based on fishing behaviour in the 1970s and that the data that the quotas are based on isn’t thorough enough. But there are only so many fish in the sea, so we need some method to limit fishing within sustainable levels. Where the quota system has been used in the EU, following recent reforms, is proving to be effective in allowing stocks to recover. We need Government, together with fishermen and conservationists to collect and provide better data to inform quota levels. And as mentioned elsewhere, Government has the power to allocate quota more fairly in future. Q. What’s the discard ban? Why do fishers seem to hate it so much? The discard ban, also known as the landing obligation, was introduced in 2015 (following a campaign in the UK) and designed to end the wasteful practice of throwing dead fish overboard. Fishers were throwing perfectly good fish overboard because it was taking them over the amount of fish they were allowed to catch, and also because they can’t get a good and stable market for all the fish that they catch, with some species being of less value. Fishers aren’t keen on the discard ban because they say it jeopardises their livelihoods. Q. What does Maximum Sustainable Yield mean? This simply means the maximum level of fish we can catch without destroying their stocks. You need to leave enough fish in the sea in order for them to replenish. Q. Is fishing really important to our economy? According to Seafish, an organisation that represents the industry, fishing represents only 0.04% of our GDP, and fish processing is 0.43%. The whole industry employs 24,000 people and contributes £1.4bn in Gross Value Added to the public purse. Is that a lot? Well as a comparison, the motor industry generated £15.2bn in GVA and employed 162,000 people. But at Sustain we think fishing is about much more than the raw GDP figures, not least because jobs in fishing are concentrated in some of the most economically deprived areas in Europe. West Wales (including Milford Haven) is ranked the poorest area in Europe and West Cornwall is second. Lincolnshire, (including the Grimsby area) comes in fifth, Devon 13th, and Tyne and Wear 20th. Many other fishing communities are rural areas which have fewer alternative employment opportunities such as Shetland, Stornaway and Brixham. Each job in fishing supports others in supplies, nets, fuel, maintenance and services. The Scottish nephrop (also called langoustine or scampi) fleet, for example, employs 1,266 directly onboard, but another 1744 in supporting roles and at least 300 in processing. It is estimated that if an extra £1 million worth of fish was caught in the UK there is another £6 million to be made in associated industries, processing and spend in the wider economy. Care about fish but feel you don’t know much about it? The UK's top fish and chip shop has been crowned, but could a no-deal Brexit spell the end of Cod and Chip Friday?